Although 360 photos and videos are gaining popularity, it can still be hard to find consistent sources of 360 content. Spinnable aims to fill that gap by becoming a social sharing platform exclusively for 360 — the ‘Instagram’ of 360 photos and videos. Spinnable is exclusively for 360 photos and panoramas. If you upload a regular photo, it will appear only as black. Any 360 photo will work, whether a full photosphere (as in the Ricoh Theta) or a hemisphere (as in the Kodak SP360). Panoramas also work on Spinnable. Panoromas will be wrapped around for a simulated 360 view, although the edges will not necessarily meet. Although Spinnable is hardware-agnostic, it has built in support for the Ricoh Theta and can connect to the Theta. Once connected, you can upload photos directly from the Theta, or capture a 360 photo with the Theta using Spinnable as your remote interface. Uploading is pretty fast, seemingly faster than uploading to Ricoh’s own Theta gallery. When you upload a photo, Spinnable will provide you with a 360-degree preview so you can see if you like how your 360 photo looks, and if you don’t like it, you can cancel the upload. If it looks ok, you can then add a description, which appears as a comment. Currently, hashtags don’t have any effect yet, but according to Spinnable’s co-founder, a future update will add hashtag functionality. In addition to uploading photos, you can upload 360 videos. Unlike some platforms such as Youtube, Spinnable preserves the original resolution of the 360 video, so videos can look better than in some other platforms. Videos load reasonably quickly, which is a credit to Spinnable’s servers. 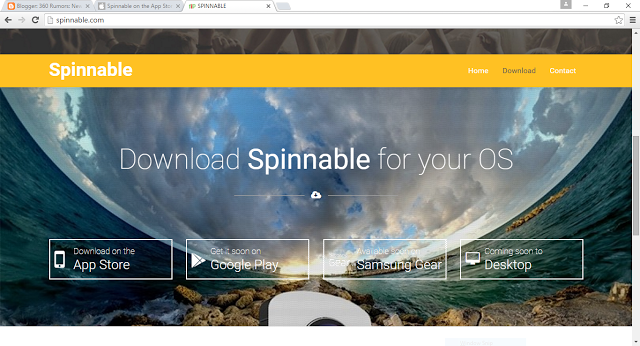 Besides sharing your own photos, Spinnable is a great way to explore other 360 photos and videos. You can view images by tapping on either a single-window view or a cardboard view. With the single-window view, it works like a “magic window” where the view changes as you move your phone around. At the same time, you can drag your finger to manually change the view. There is also support for pinch to zoom (or zoom out). Tapping on the cardboard view brings up a dual-window view that works for Google Cardboard (or similar devices). Tapping on the screen exits the cardboard view. 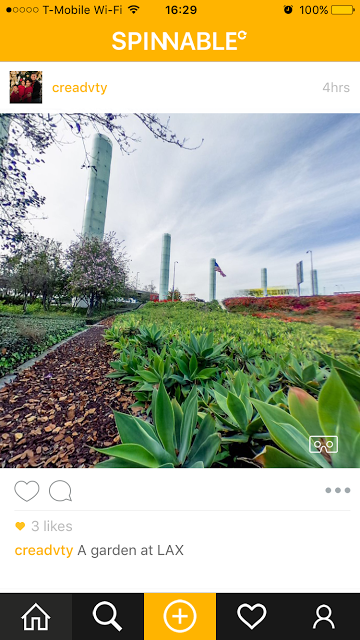 As with Instagram, you can follow users, whose photos and videos will show up on your feed. There are a couple of limitations. First, as mentioned, Spinnable hashtag support hasn’t been added yet, which can make it hard to look for specific photos or videos (but will be added in a future update). Second, it does not yet have an “Explore” function (which automatically suggests photos or videos), although its co-founder said they will add this it will be added in an upcoming update to the app. As a workaround, some users have decided not to follow any users, in which case Spinnable gives you a feed of everyone’s photos and videos. Logging out has the same effect of allowing you to see everyone’s uploads. 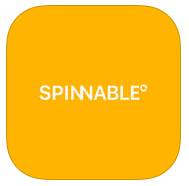 Spinnable is available now for iOS. It will be available soon on Android (Google Play, Samsung Gear stores) and desktop.